Trending at $35.97eBay determines this price through a machine learned model of the product's sale prices within the last 90 days. Simply brew over ice and it's ready in seconds! Step 2: Press the 6-oz. brew button for optimal flavor. We suggest you run a hot water brew cycle without a K-Cup. Step 1: Fill a 16-oz. cup (Do not use glass) to the top with ice and place a Brew Over Ice K-Cup. 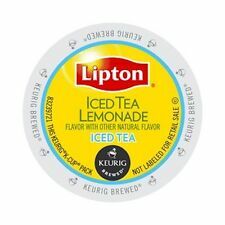 K-CUP® TEA. The result is a delicious blend with natural caffeine and theanine. 75mg caffeine / 20mg theanine per 8 fl. Best Prices! What is the condition of the item?. Do you have more information about this product?. This iced black tea is refreshing with our perfectly sweet, fresh brewed iced tea. All the refreshing taste of southern sweet tea; now in seconds! Fill, Place a 16-oz cup filled with ice under your brewer. 12 Cup Box. Product Details. Coffee & Tea. Our goal is to provide you with GREAT PRODUCTS & GREAT SERVICE. This iced black tea is refreshing with our perfectly sweet, fresh brewed iced tea. All the refreshing taste of southern sweet tea; now in seconds! DO NOT OPEN A CASE I RESOLVE ISSUES BETTER. I CANT FIX IT IF I DON'T KNOW ABOUT IT! Brew over ice to enjoy the perfect iced tea in seconds with delicious and aromatic Iced k cups tea sweet tea Made from real pressed leaves Awaken and uplift your mood. 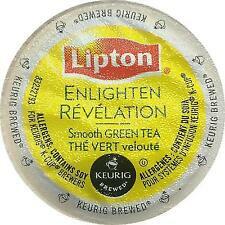 Simply use Lipton Iced Tea Sweet Tea K-Cups with a Keurig machine Made with only 100% Rainforest Alliance certified tea Makes 10 cups . 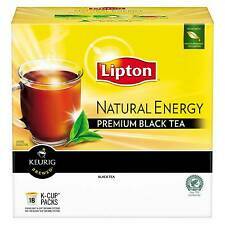 Lipton Unsweetened Iced Tea Classic K-Cups K Cups Keurig Lipton K-Cups 12 Ct. COMPATIBLE WITH ALL KEURIG K-CUP BREWERS INCLUDING THE NEW KEURIG 2.0 BREWING SYSTEM. K-CUP PODS ARE NOT COMPATIBLE WITH THE KEURIG VUE BREWING SYSTEM. ALSO COMPATIBLE WITH ICoffee, Hamilton Beach, Chefman, Mr Coffee, Tru and Cuisinart Single Serve Coffee Makers. 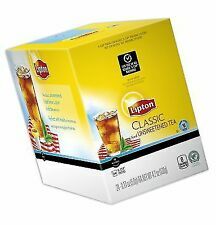 Lipton Tea Bag "Case Of 432" - Decaffeinated - 6 Inner Boxes Containing 72 Bags Each. 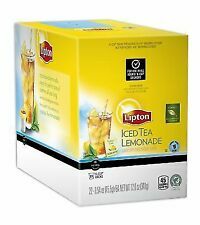 View larger Classic Unsweetened Iced Tea for Keurig K-Cup Systems Classic Lipton Unsweetened iced tea simply brews over ice for a delicious and uplifting treat. Press the 6-ounce or 8-ounce brew button for optimal flavor. Hong Kong Style LIPTON Lite Instant milk tea Mix Powder. Instruction: Just empty 1 sachet into a cup and add about 150ml boiling water & stir well, a HK style Instant Milk tea is ready to serve. Wonderful treat for yourself or gift idea. Brewing occurs inside the K-Cup so no flavor residue is left behind to spoil the next cup. Airtight to lock in freshness and flavor. Daily Life. all products are original 100% authentic and never been used unless otherwise stated. But it may delay due to Custom / Weather. 3M Products. UPCDoes not apply. Expiration Date18 months from the manufacturer's date printed. Health & Beauty. Daily Life. Expiration Date18 months from the manufacturer's date printed. all products are original 100% authentic and never been used unless otherwise stated. But it may delay due to Custom / Weather. All products are original 100% authentic and never been used unless otherwise stated. MUJI Japan. But it may delay due to Custom / Weather. 3M Products. 立頓茗閒情 高山烏龍茶包. UPCDoes not apply. Expiration Date18 months from the manufacturer's date printed. Daily Life. Expiration Date18 months from the manufacturer's date printed. all products are original 100% authentic and never been used unless otherwise stated. But it may delay due to Custom / Weather. Daily Life. all products are original 100% authentic and never been used unless otherwise stated. 3M Products. UPCDoes not apply. Expiration Date18 months from the manufacturer's date printed. Country/Region of ManufactureTaiwan. Expiration Date18 months from the manufacturer's date printed. all products are original 100% authentic and never been used unless otherwise stated. Germany STAEDTLER. MUJI Japan. But it may delay due to Custom / Weather. Lipton HongKong Style YuanYang Coffee Milk Tea 立頓奶茶粉 絕品醇港式鴛鴦咖啡奶茶. Plastic Model Kit. You may also like. But it may delay due to Custom / Weather. Computers Peripherals. Military Action Adventure. UPCDoes not apply. Saint Seiya. Daily Life. all products are original 100% authentic and never been used unless otherwise stated. UPCDoes not apply. Expiration Date18 months from the manufacturer's date printed. Country/Region of ManufactureTaiwan. 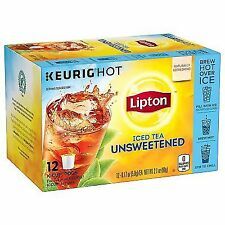 44 Count K-Cup Lipton 'REFRESH ICED SWEET TEA' - FRESH!! New Stock! !